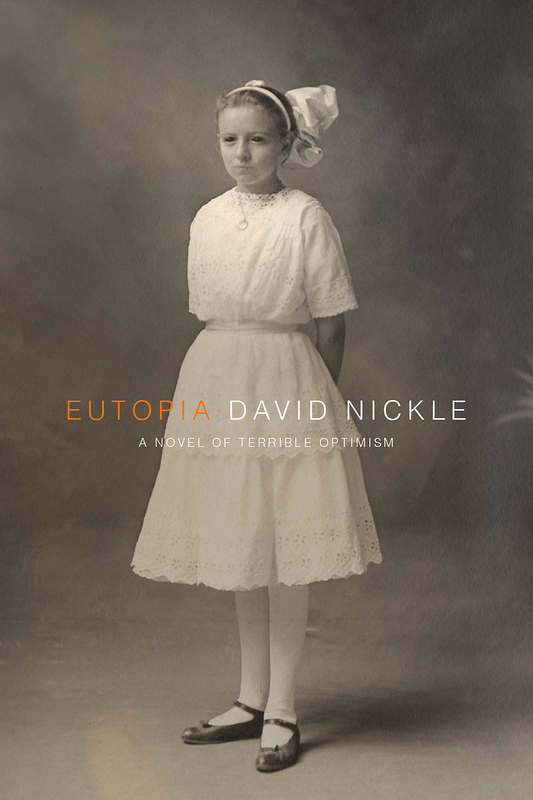 It's some months still before Eutopia: A Novel of Terrible Optimism hits shelves and mailboxes around the world. 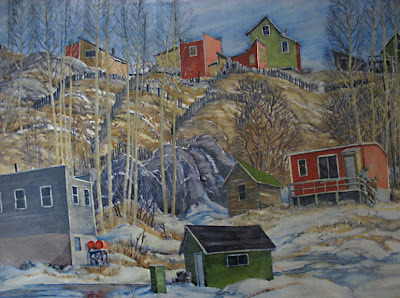 But Sue Granquist over at Black Gate is already anticipating its release in a very kind way, right here. Sue also singles out my pal Claude Lalumiere's The Door To Lost Pages, which is coming out around the same time from ChiZine Publications. 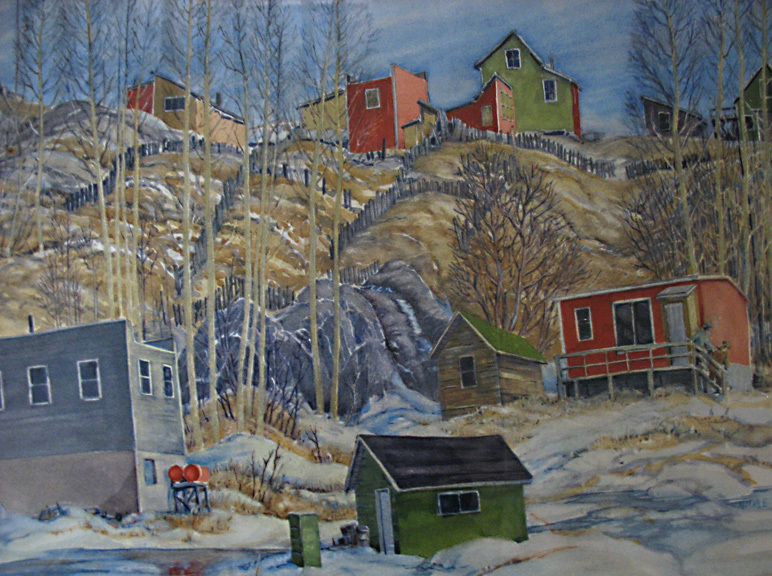 Regular yard-apes may recall a post or so ago, I let on that my dad, Canadian Landscape painter Lawrence Nickle, would soon be illustrating the special signed, limited edition hardcover of my novel Eutopia: A Novel of Terrible Optimism. Well, now that the snow's set in at the North Pole (a.k.a. Burk's Falls, Ontario), dad's started in on the work, and fast as he can sketch them, his friend Bill has been scanning it and interwebbing the exquisite drawings south, to me. 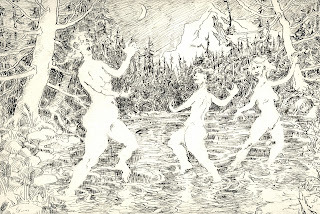 To whet your appetite, I've included above, Illustration #4 - an illustration depicting the Feeger Sisters, and their improvisational dance of supplication to the Old Man, a mysterious fellow who dwells somewhere deep in Trout Lake, Idaho. There are many more illustrations, but the only way to see 'em all is to go order the special collector's edition of Eutopia. You can do it here, at The Horror Mall. 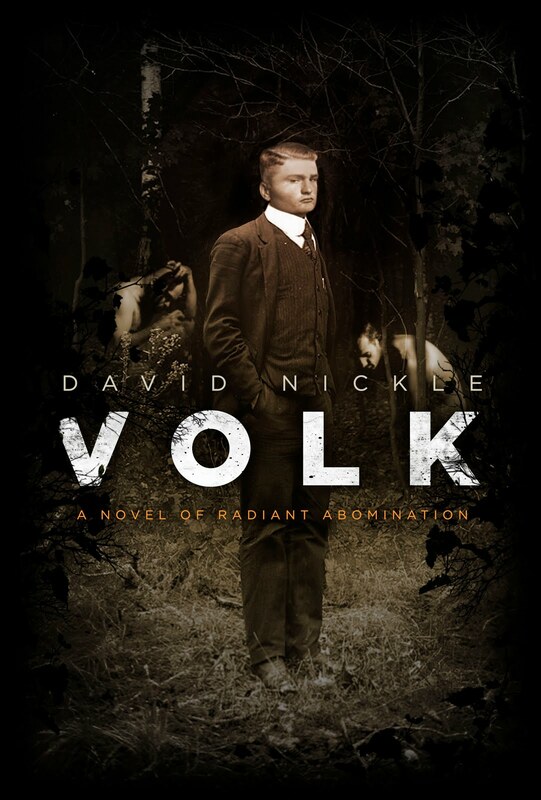 It has only been a couple of days since we finished the proof-reading of Eutopia, my novel about eugenics and gunfighters and monsters. But already, it's up for pre-order here, at The Horror Mall, in it's high-end, $50 collectable hard-cover edition. There's a more affordable trade paperback that will be available at the same time (mid-April, 2011). 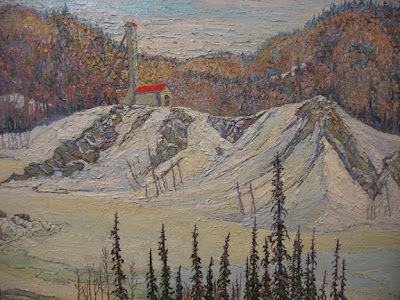 But the hardcover is a limited edition of 150 copies, and having just negotiated it today, I can pre-announce that the hardcover will include illustrations by Lawrence Nickle - a Canadian landscape painter of great regard, who is also, by no coincidence, my dad. The illustrations won't be in the trade paperback - that's going to just be text with a couple of clever graphics. 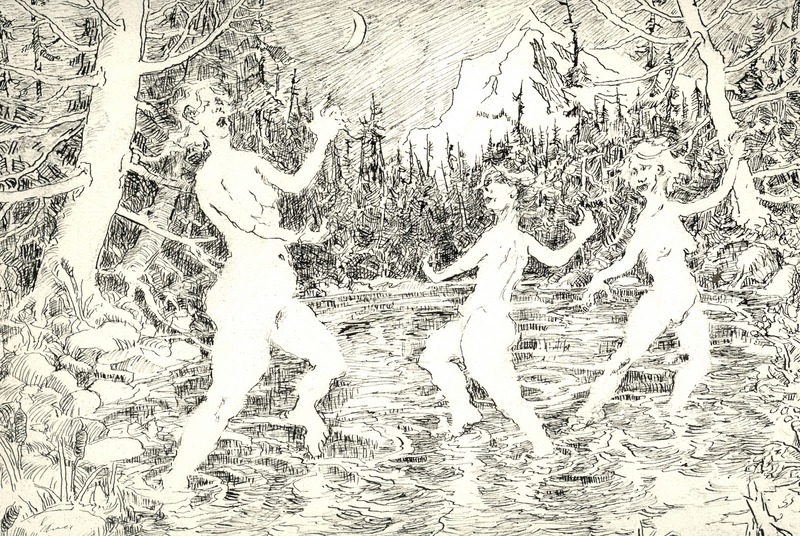 So if you want to get a book with Lawrence Nickle illustrations, and you have $50 in your pocket - there's only one way to do it, and that's to pre-order Eutopia from The Horror Mall. It won't be the first time that Nickle artwork has illustrated a Nickle story - the paintings below have been illustrating my story The Pit Heads since 2007.